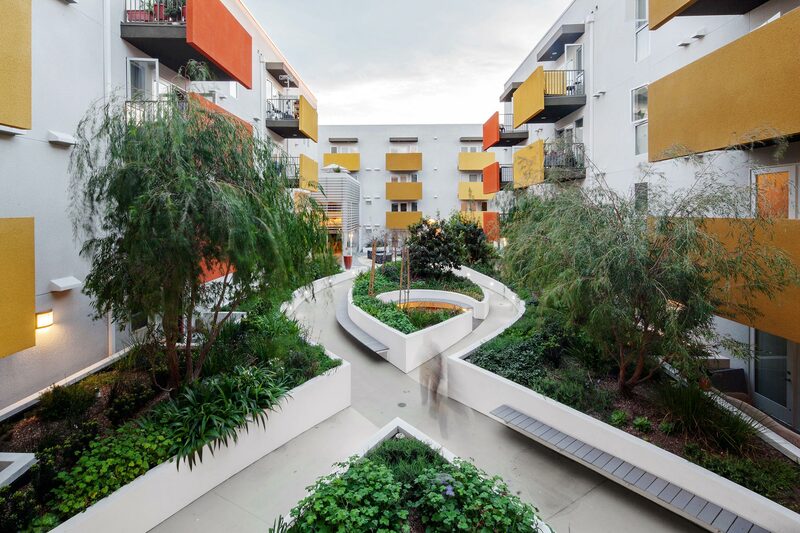 LAHMON ARCHITECTS formed with an emphasis in urban infill publically funded and market rate, mixed-use and multi-family housing. Our goal is to develop creative and appropriately unique solutions that provide a positive and empowering experiential sense of place. We believe that architecture is the stage and backdrop of the built environment that has the power to shape and influence lives internally as well as externally, create memories, and either allow or prohibit thoughts and actions. Additionally, we address client expectations, program, code, project goals, budget, and context to provide efficient, sensitive and environmentally conscious designs. Through a collaborative process with our clients, consultants, and public agencies, we synthesize project objectives, opportunities and challenges to develop a holistic design which provides enlightening environments for inhabitants while also striving with to enrich the surrounding context. Mark Lahmon is a registered architect in the State of California with over twenty years of professional experience in architecture and seven years’ experience in construction. Mark’s professional experience ranges from a start in performance theatres that shifted to an expertise in all realms of multi-family housing and mixed-use urban planning and design. Prior to forming LAHMON ARCHITECTS , Mark was one of three founding partners at PSL Architects where he was responsible for award winning projects including an LABC design and national level AIA/ /HUD awards for civic and multi-family projects. Mark’s initial experience in multi-family and mixed-use urban infill projects began at Killefer Flammang Architects where he designed and managed numerous award-winning Adaptive Reuse Projects in Downtown Los Angeles and played a role in the research and development of the Adaptive Reuse Ordinance for the City of Los Angeles. Mark is a member of the American Institute of Architects and a LEED accredited professional.